Heather Paradis is a member of the firm’s civil litigation practice group. She practices general civil litigation primarily in the area of public entity defense. Ms. Paradis has extensive experience in the areas of inverse condemnation, wrongful death, civil rights, negligence, employment and personal injury. Ms. Paradis is an experienced litigator who can manage all aspects of a case file. She handles cases in both state and federal courts and has significant experience in law and motion practice, discovery, depositions, mediations and trial preparation. Most recently, Ms. Paradis participated in a Federal Court trial which resulted in a defense verdict for an El Cajon Police Officer. In that case, the officer was alleged to have used excessive force in the shooting of an unarmed suspect. Ms. Paradis graduated with honors from Thomas Jefferson School of Law. She was the recipient of a merit based scholarship and received the top grade in her legal writing class. 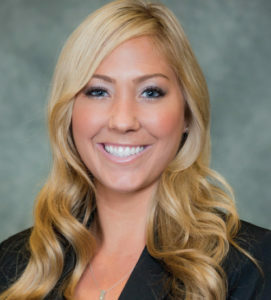 During law school, Ms. Paradis participated in the Pro Bono Honors Program and served as a mediator at the El Cajon courthouse. She also clerked for a national defense litigation firm and a plaintiff civil litigation firm. Prior to attending law school, Ms. Paradis received her Bachelor of Arts degree from Whittier College where she graduated with academic distinction.